Everyone loves to receive fresh flowers, and when they have been carefully selected for their exquisite beauty, wonderful scent, and intrinsic meaning, floral arrangements become all the more poignant and special. From traditional favorites to vibrant, exotic specimens, mixed-flower arrangements are the perfect way to show someone you care. When choosing your fresh flower arrangements, opt for the blooms which best express your sentiment, or which complement the recipient's personality and character. By sending flowers which perfectly match a friend's taste and style, you are showing that you truly know and value that person. The vast array of flowers available from our online florist range from pretty pastel shades, contemporary vivid hues, intensely perfumed blooms or delicately scented species. Mixed-flower arrangements can be classically elegant in style or bright and modern with an explosion of lush foliage. 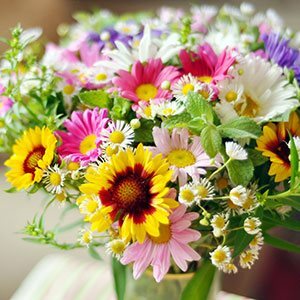 Choose the mixed flowers which symbolize your message. Think flower arrangements with roses and lilies for love and romance, or gerberas and tulips for friendship, hope, and joy. Whether you choose a simple and graceful daisy bouquet or an extravagantly oversized bunch of blooms, LolaFlora's online florist service ensures your bouquet will be beautifully presented and swiftly delivered, creating the perfect surprise gift for the one you love. 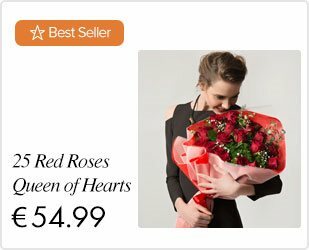 Send a last-minute birthday bouquet or sincere thinking-of-you floral arrangement with our fantastic same day flower delivery service. Online flower arrangements are also ideal for weddings, anniversaries and memorial services. 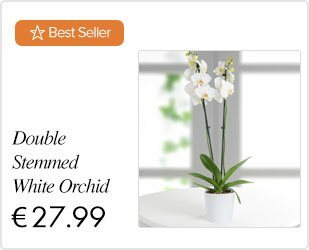 Create flower arrangements for weddings including elegant bridal bouquets online made with flowers like roses, lilies or orchids. You can order carnations online for cheap funeral flowers that express your sympathy and concern. Decorate your home or office during the holidays with festive red and white flower arrangements. Order a red and white mixed bouquet with a variety of flowers, or choose a holiday favorite such as poinsettias or amaryllis. Your mixed flowers will be ready-arranged for your convenience, so send a smile and a splash of color to someone special today!